The majority of my life I have lived in LA and I had never attended a rehearsal at the Bowl until last week. 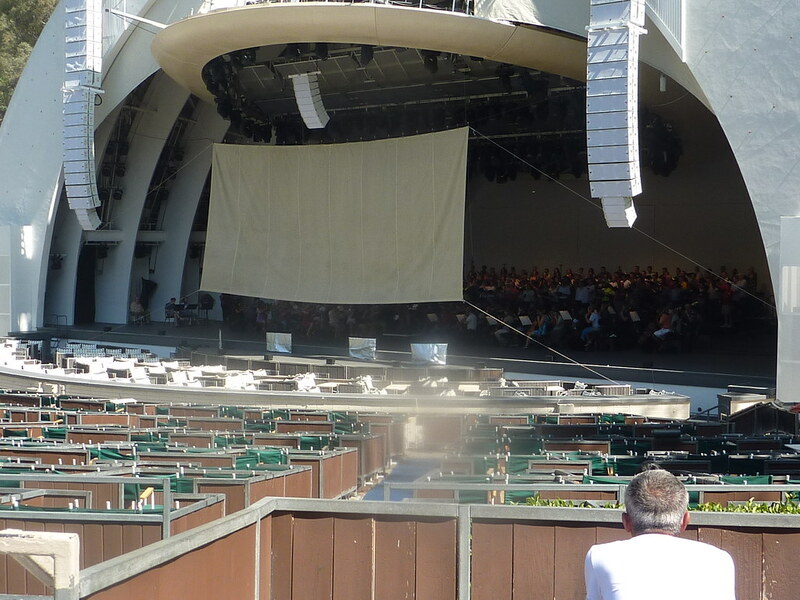 My friend, David, suggested we go to the Bowl and watch the LA Phil rehearse. Thursday morning we drove to the Bowl with our coffee and donut in hand…a bit odd to be going to the Bowl sans a picnic and wine. As we walked in we noticed there were more people on stage than in the audience. It was a mix of retirees reading the newspaper, tourists excited to hear a free performance, and kids running around the Bowl. The LA Phil and Master Chorale were rehearsing Beethoven’s Ninth Symphony. Everyone was in summer attire even the Phil and Master Chorale. The experience of listening to such a magnificent piece in the middle of the day as the birds chirped and the sun shone was priceless. The rehearsals are Tuesdays and Thursdays from 9:30am to 12:30pm. Friday rehearsals are open but call ahead in the event they are cancelled, the General Info number is 323.850.2000. Summer with my mother has listed this summer’s rehearsals here. Pro tip: Take a date. I’ve been here before for one and it was a quiet and fantastic little surprise.